Happy New Year! It may feel like we just started 2019, but the old saying, “Time flies when you’re working hard to reach your goals!” has been truer than ever as January ends. Just like most people, Kevin is always excited about the possibilities the New Year holds. If you know him, you already know that he is less about making resolutions, and more about always moving towards bigger and better goals. At the end of last year, he was already focusing and planning to ensure that he started January 2019 strong. 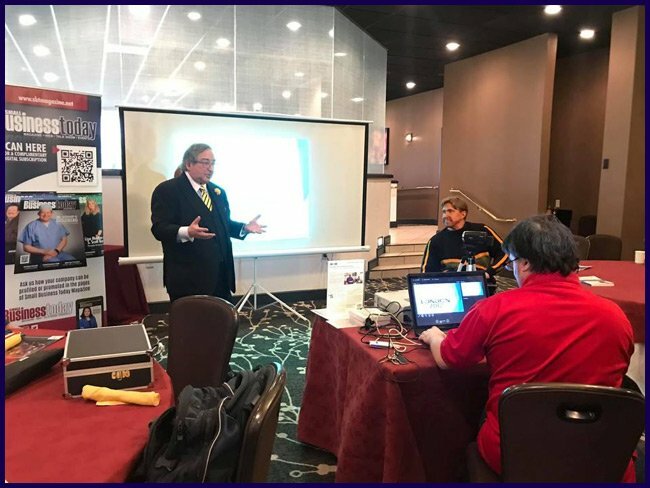 This month, Kevin had the good fortune to speak to audiences in different cities and states, on topics such as peak business performance and workplace safety. He’s passionate whenever he speaks on these topics, because getting these things right can drastically improve the quality of your life, whereas negligence or failure can bring the opposite. According to many surveys, the majority of people who commit to New Year’s resolutions usually give up on them by February. Kevin believes that we should first plan for success in anything we do. If he finds that some obstacle prevents his forward progress, he continues to work the plan, evaluating what’s working and what’s not. If any adjustments are necessary to eliminate obstacles, he will then refocus and revisit the plan. By consistently taking the time to improve his plan, he becomes better at identifying ways to increase his likelihood for success – whether in his business or personal goals. 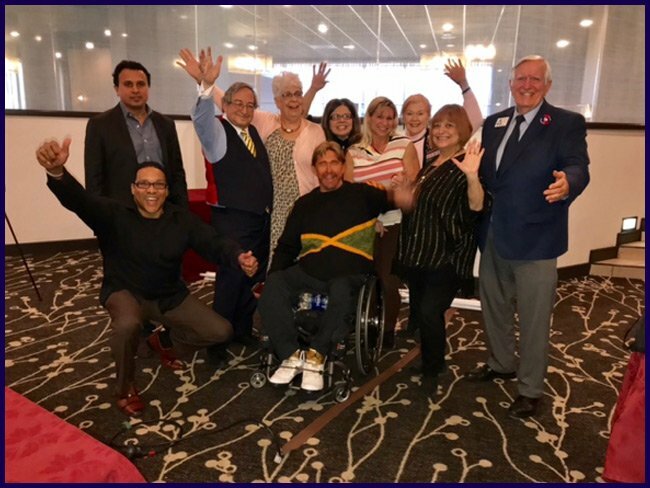 In early January, Kevin was the featured speaker at the Business Wellness Networking Lunch & Learn, hosted by Houston West Chamber of Commerce and Small Business Today Magazine. Kevin focused on the importance of bootstrapping, or using existing resources to optimize your results. This can happen when you leverage limited money, time, skills or connections. But Kevin spoke about another resource that is readily available to anyone with a larger-than-life goal: reinvention. Small Business Today magazine publisher Steve Levine introduces Kevin Saunders, who spoke on Bootstrapping a Small Business into a success. Kevin described how a catastrophic workplace accident transformed him from being an able-bodied Federal employee to someone paralyzed from the chest down and confined to a wheelchair for life. After being discharged from the hospital and rehabilitation, Kevin no longer had any of the options he counted on before he became injured. But in time, he learned that the power of reinvention was still available to him. 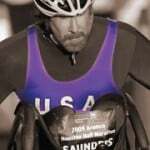 Step by step, he built a new life as a Paralympic Wheelchair Athlete, Author, and Motivational Speaker. Business Today magazine publisher Steve Levine introduces Kevin Saunders, who spoke on Bootstrapping a Small Business into a success. Kevin shared that adversity was a great teacher through every part of his journey. His message was that one must always push past previous limitations to reach new levels of excellence. No one wins a championship on Day One. It takes mastering small challenges, then advancing to tougher problems or competition. Only then can you reach new possibilities for achieving your greatest goals, including those that seemed impossible or held you back before. 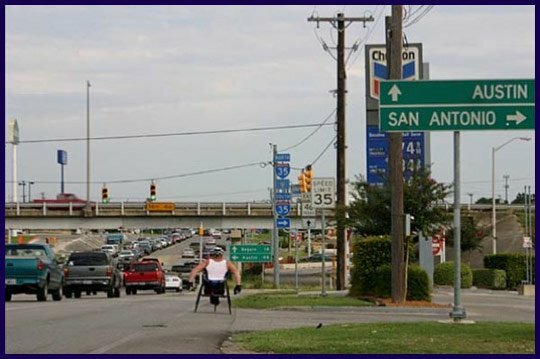 Kevin shows that even with a severe disability, hard work can pay off especially when you’re bootstrapping you small business to success! He also shared the stories of business mavericks and the hugely successful companies they founded as bootstrapped start-ups. Sara Blakely first came up with her now-famous women’s undergarment at the age of 27. Blakely launched her Atlanta-based business using all $5,000 of her personal savings, developing a product that would later be patented. In 2013 she became a billionaire. To date, she still owns 100 percent of Spanx – which had an estimated $400 million in 2016 sales – and hasn’t taken a penny from outside investors. Craig Newmark started his eponymous classified ad site in 1995 as an email newsletter to keep friends updated on interesting events around San Francisco. Craigslist hit a million-page views per month by 1997, but Newmark kept it as a side project and didn’t incorporate until two years later. He didn’t take any outside money until 2004, when eBay paid $32 million for a 28 percent stake in the company. In 2016, Craigslist topped $690 million in revenue, according to AIM Group. In 2010, co-founders Will Dean and Guy Livingstone tapped into a rich market with its series of edgy athletic competitions. The idea the pair devised is a boot-camp-style footrace that features obstacles such as barbed wire and butter-greased monkey bars. They spent $300 on a website, and about $8,000–all the money from Dean’s bank account–on Facebook ads to promote it. The strategy paid off:Over 5,000 people ran the first Tough Mudder, and more than two million people have run the company’s races in 10 countries since. The Brooklyn, New York-based company generated more than $100 million in revenue through registration fees and sponsorship deals in 2015, and still has not received any outside investment. What Makes a Champion in Sport or In Your Business? You must follow your business plan and goals as something you PRACTICE-to-PERFECTION at all times. If you are prepared to meet and surpass your customers’ needs, you can exponentially boost your growth. 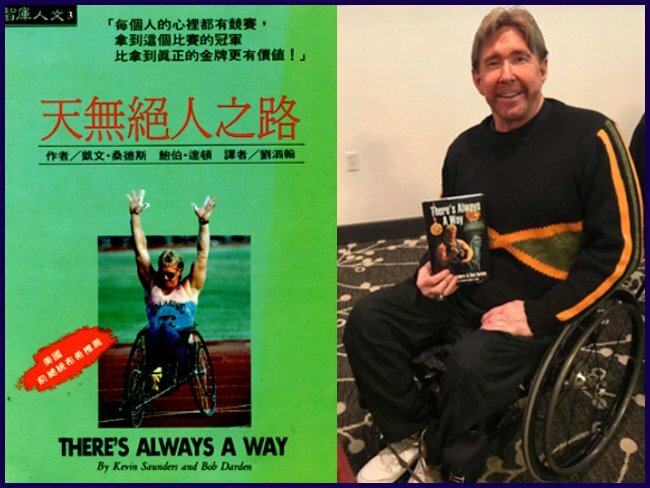 Kevin holds up a copy of his first book, “There’s Always a Way,” a best-seller which was published in different languages around the world. Sam Walton – He started with a small “five and dime” store in 1926 and built a retail empire with Wal-Mart and Sam’s Club over the next 6 decades. would go on to hold the “Richest Man in America” title at one point in his life. JK Rowling – Following her mom’s death in 1991, Rowling had a miscarriage, gave birth to her baby girl then divorced her husband. She was writing Harry Potter, jobless and penniless. She suffered depression and contemplated suicide while finishing the book. After receiving many rejections while promoting the book to publishers, she finally got the YES that changed her life. By 2011, she was worth over $1 billion. Ray Kroc – The man who turned McDonald’s into a successful multinational chain (and household name) was 59 years old when he bought out the chain’s founders, taking control of the brand’s future. Samuel L. Jackson – Marvel’s Colonel Nick Fury didn’t get his breakout acting role until 1994’s Pulp Fiction. He was already 46 years old, and recovering from cocaine and heroin addiction. Your goals and dreams live inside you, and it’s up to you to honor them with hard work, ingenuity and reinvention. “There’s Always a Way” to make those dreams come true! 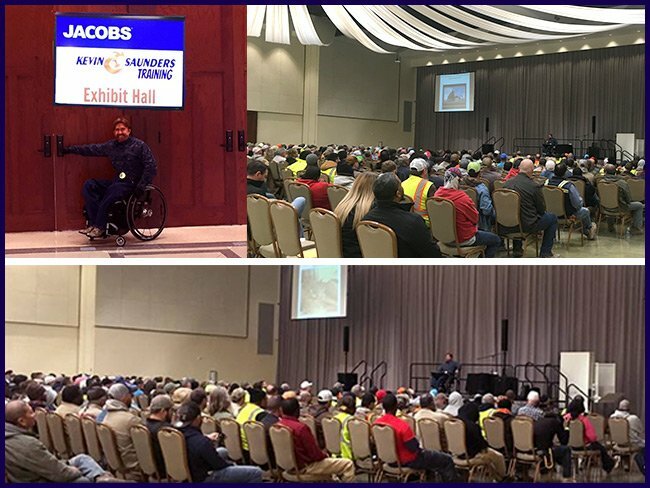 Later in the month, Kevin made his way to Sulphur, Louisiana, as the featured keynote Safety Speaker for Jacobs. 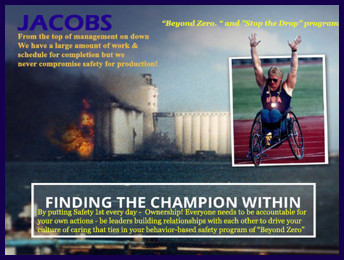 Kevin presented strategies for helping all Jacobs team members make good on their “Beyond Zero – A Culture of Caring” safety initiative. Safety precautions must be observed at every moment while on the job so that every worker can make it back home from the job site each day. That means that all workers must take responsibility for staying fully engaged at all times. Beyond that, a culture of caring can only be realized when an individual at any level – from CEO to contract employee – can take action on reporting a Safety Hazard without fear of repercussions. Kevin compared all members of a job site team to a FAMILY. In any family, every member has a responsibility to look out for one another. Just as importantly, they must hold others accountable for doing the same. Only when that happens can the FAMILY put Safety First everyday, all the time! For many companies, that idea makes sense, but doesn’t always become a reality. Jacobs’ Safety program is well on its way to building a company-wide culture of accountability, with strong, dedicated leadership throughout the company. Kevin shared his story of Tragedy to Triumph, which was set in motion because of a workplace explosion that only happened because his co-workers were not fully engaged when it came to following job site safety procedures. Working a huge construction job on a site that continues in full operation requires that every person stays totally engaged in everything that is always going on around them at all times. Even traffic can be a huge concern when trucks and other vehicles are constantly going back and forth all day long. It’s like a continuous Rush Hour, so everyone has to stay alert. They also need to know that the job isn’t done until they arrive home safely, whatever mode of transportation they used to get there. Traffic – Obey the rules whether you’re coming in or leaving work. Stay alert! Always! Everyone needs to be accountable for their own actions and be leaders in the field, build relationships with each other because you all are FAMILY. Developing caring relationships with your coworkers is paramount! In building a culture of behavior-based safety program of “Beyond Zero.” Because you are FAMILY you hold each other accountable! Safety takes planning, coordination, communication and training. And it takes complete buy-in from everyone so that potential hazards aren’t overlooked. It’s a learnable skill…one that every company needs to promote and develop internally. Finally, remember that whether you’re trying to build a business or create a Safety First organization, “There’s no short-cut to success, just good old-fashioned hard work!” It may not always be easy, but it will be worth it. In sports as in life, we have to push past current limits to reach new levels of excellence, achievement, and possibilities that you are able to achieve. Your New Year’s Resolutions have just begun, so be confident in your ability to adjust your plan in order to stay on track during the year. Be accountable, take ownership and be a leader as it takes hard work, focus, determination and perseverance to reach great goals in life. It isn’t easy, but nothing worth accomplishing is ever that easy. Remember, “There’s Always A Way!” when you NEVER GIVE UP! Take a moment to reflect on your 2019 New Year’s resolutions. You may feel like you are right on track, or you may have faltered here and there. The important thing is to know that you don’t have to give up just because something didn’t go perfectly. Focus on making daily progress and chalking up wins so that you can finish this year strong!